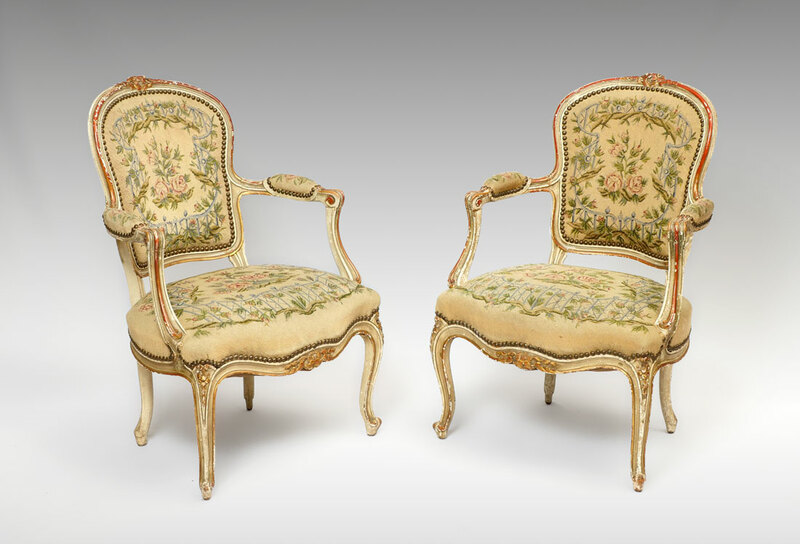 PAIR 19TH CENTURY FRENCH FAUTEUIL ARMCHAIRS: Paint decorated frames with carved floral crest, shaped arms, skirt, and legs. 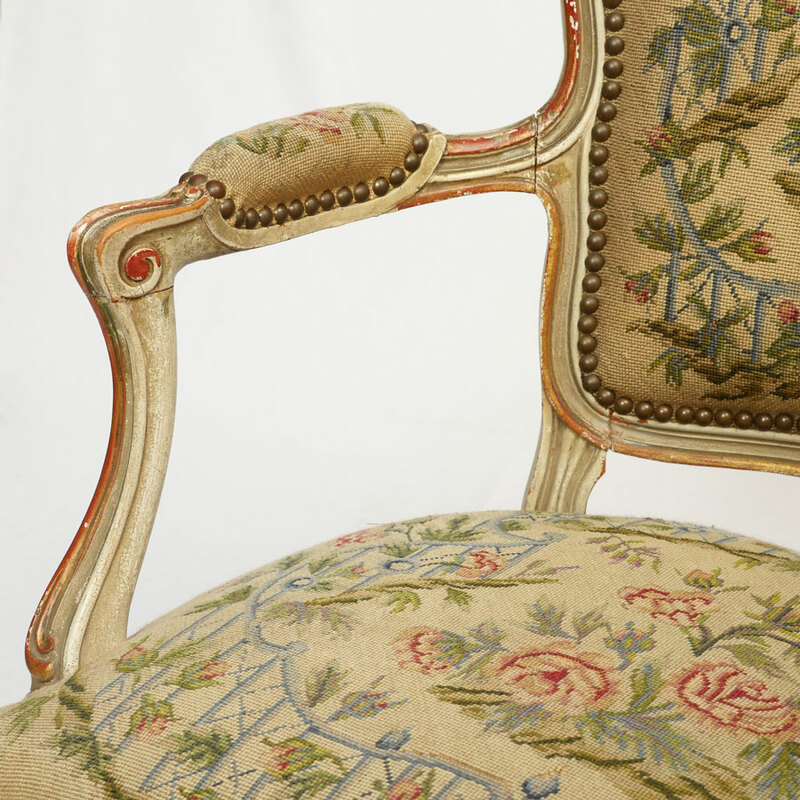 Floral motif needlepoint upholstery, 35'' h. x 24 1/2'' x 24 1/2''. 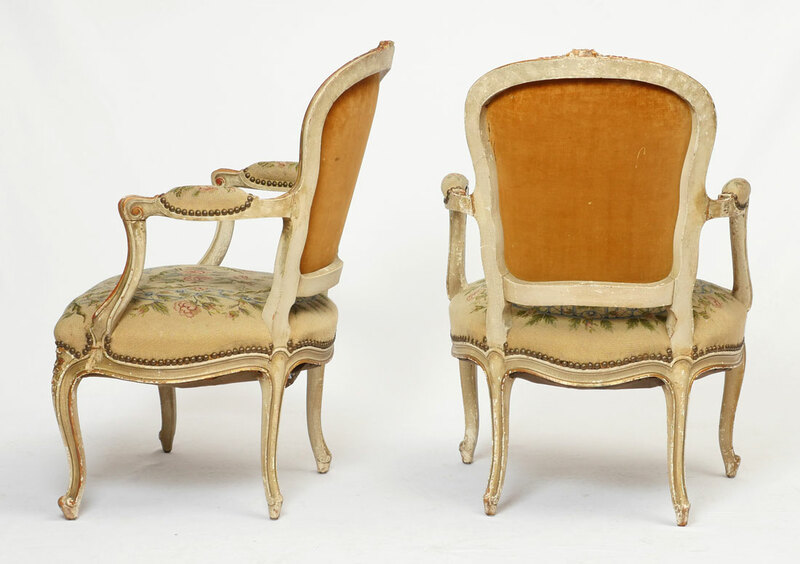 CONDITION: Craquelure to paint decoration, other wear consistent with age and use.